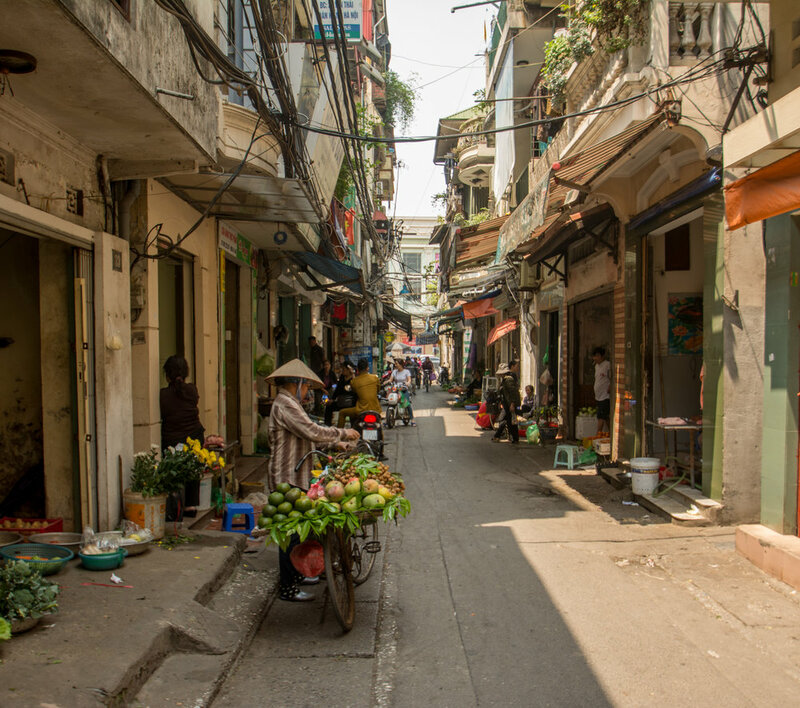 Tube houses create a dense and vertical urban form in Saigon's alleyway neighborhoods. Many residents use their first floor living areas as points of operation for small, private businesses. This creates economic activity during the day and, in the evening, ensures "eyes on the street:" a sense of mutually-assured safety and vigilance in the neighborhood. Perhaps just as iconic to the Vietnamese aesthetic as motorbikes are tube houses: spindly and impossibly narrow towers that stretch three, four, five, sometimes eight stories tall, and are the predominant residential structure throughout the country’s urban areas. Encouraged by architectural customs and policies that based a household’s property tax not on total square footage, but simply on the width of the first floor, Vietnam’s tube houses convert a tiny plot of land into an efficient firehouse of commerce, storage, cooking, and sleep. Unmistakably different from just another “town house,” the tube house is a compact, dynamic product of a distinctly Vietnamese architectural philosophy, and deserves attention for its adaptability. With land divided into the narrow and relatively shallow lots needed for tube houses, neighborhoods are guaranteed to support a surprising density of residents—and are rewarded with numerous opportunities for “eyes on the street.” Neighborhood safety is further enhanced by the ample residences that double as small businesses, which not only supply the community with snacks, toiletries, meals, and coffee, but also well-intentioned vigilance through all hours of the day. Exploring narrow alleyways in Hanoi’s city center after sunset is far less harrowing when grandmothers sit on front stoops, cooing to their newborn granddaughters, laughing with the next-door neighbors, and beckoning the wary foreigner to buy some fresh mangos. The antithesis of suburban America’s insistence on “building to a finished state,” as Strong Towns writes about, tube houses—and the neighborhoods that house them—continue to grow incrementally, changing over time to reflect equally changing familial needs and financial abilities. After decades of working, saving, raising a family, and combining family generations, one’s tube house may have jumped from two to four stories. On one street may sit fifty tube houses of an assortment of stories, altogether housing an assortment of socioeconomic levels. 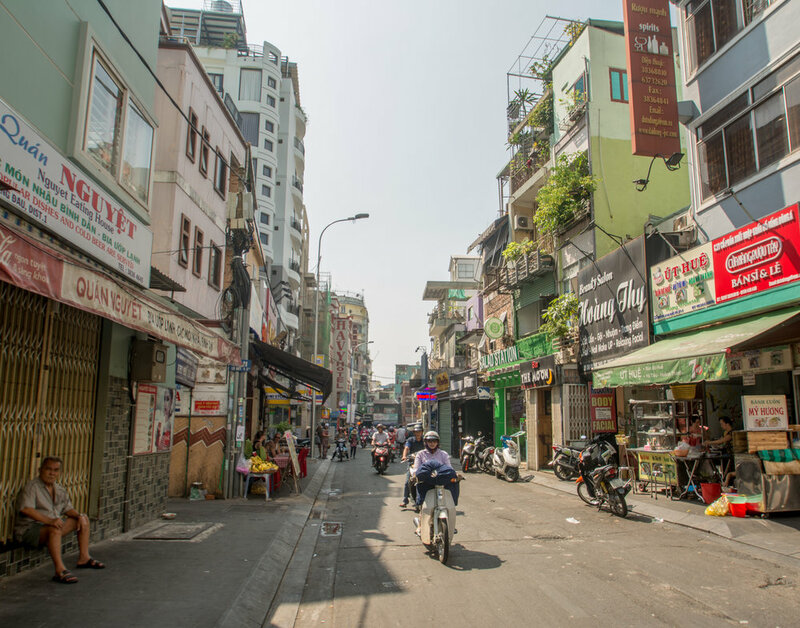 In a heavily commercial district like Hanoi's Old Quarter, tube houses are both conduits of economic activity and visually enticing pedestrian experiences for tourists and locals alike. The problem with building to a finished state—a problem not unique to America’s “suburban experiment,” but found in mega-apartment complexes, luxury high rises, and even master-planned “new urbanist” communities around the world—is the unalterable fate prescribed to these buildings. They are denied the gift of adaptability and, often coming with high price tags, accessibility. Various construction projects are underway in Orlando, Florida, to create entire blocks of town houses (for example, the adjacent projects, Fern Creek 5 and Fern Creek 20). These buildings may architecturally appear akin to the tube house (narrow structures buttressed together and reaching three to four stories tall), but permitting processes and home owners associations ensure the town houses will never endure the modifications and reincarnations that define a tube house, much less the often informal live/work combination that contributes to the success of the Vietnamese neighborhood. Surprisingly, none of the handful of locals we questioned in Ho Chi Minh City or Hanoi said they would prefer to live in one of the many new high rises in their city over a traditional style tube house. Perhaps this was a problem of our sample (recent graduates bracing the daunting prospect of finding first jobs after university), our limited translations, and our unfamiliarity with deeper cultural implications. Perhaps we were simply missing the fact that their aversion comes from the price tag they can’t ever fathom affording. Some customs may change over time as incomes, culture, and development influence desires, but hopefully, the tube house will ride out the mega-complex trend. And they likely will, as tube houses are a phenomenal solution for housing many people in dense areas and preserving both a sense of personal, private space and a thriving community. They offer families a space to call home, grow a small garden, and have a reprieve from city life with many balconies and a rooftop terrace. They are tall enough to meet a large family’s gross square footage needs, but not too tall that they require elevators. Their height and proximity to the street create cozy corridors for residents and passers-by, providing near-constant shade from the tropical sun and a building scale reminiscent to an Italian village. Front gates may delineate the public realm from the private, but on many of the quieter streets and alleyways, the street becomes a continuation of the home and a crucial piece in fostering relationships. Residents relax on plastic chairs outside their front doors, catching up with neighbors, watching toddlers learn to walk, and lounging before the next hustle begins. When done socializing, residents can retreat to the privacy behind their closed gates and the refuge of home within. Tube houses are not perfect. The guarantee of multiple stories quickly teaches inhabitants to remember precisely what they need before heading downstairs, or else endure the strain of climbing up four flights of stairs for a forgotten textbook. Similarly, as people lose the ability to climb stairs, they are no longer able to access two-thirds—or even seven-eights—of their home. 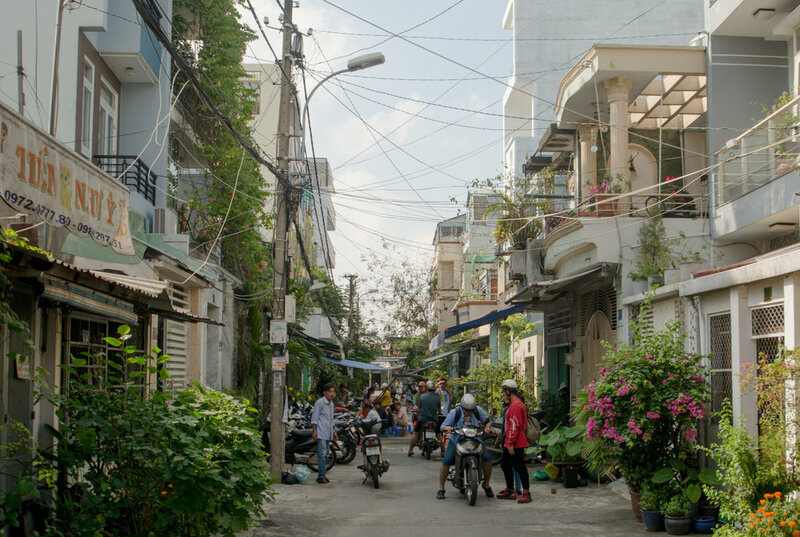 Much of tube house’s success, particularly in terms of a true live/work combination not restricted to specific business zones or redevelopment projects, may be the stamp of Vietnamese’s lax zoning laws and cultural expectations of mixed-use housing. 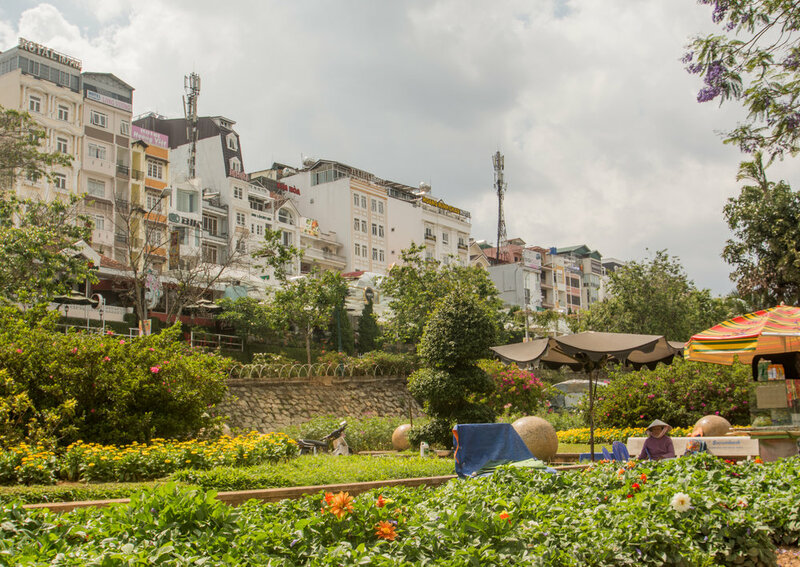 Nevertheless, as cities in the U.S.A. ponder how to attract and retain families in their downtowns, Vietnamese urbanism would suggest they look at tube houses, not the luxury high rises and apartment complexes so large they consume multiple city blocks. Even more important in the cultivation of thriving cities is that the government create policies to allow residents, and not capital-laden developers, to build their homes, their neighborhoods—and in the process, the places they want their cities to be. Throughout many Vietnamese cities, the enduring popularity and effectiveness of the tube house is on display. Whether in Chinese, French or modern architectural styles, these neighborhoods and commercial strips possess a dynamic sense of scale and function that are trademarks of the tube house approach.